Uncle Murda Claps Back At Skillz On "Why You Mad?" Home>New Songs>Uncle Murda Songs> Uncle Murda Claps Back At Skillz On "Why You Mad?" 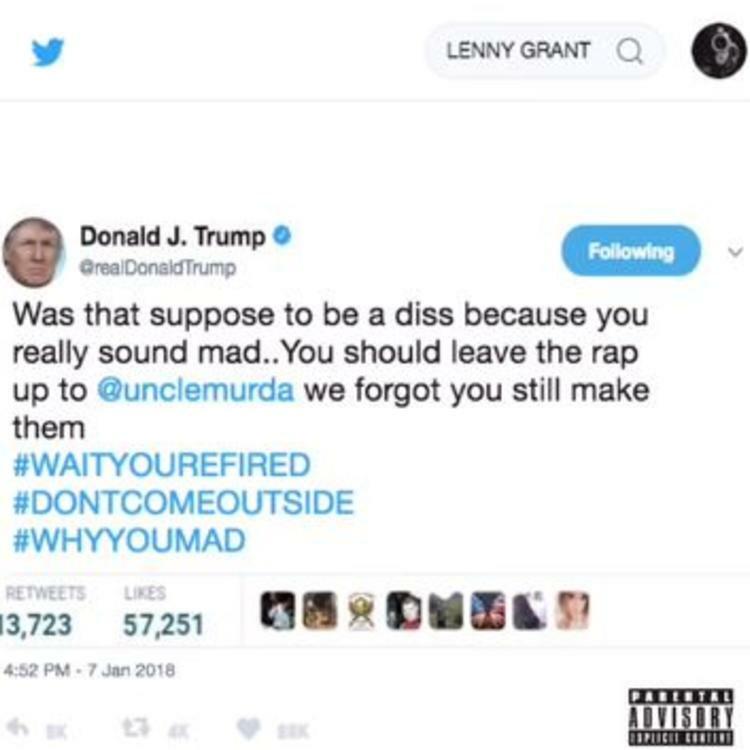 Uncle Murda goes off on Mad Skillz on "Why You Mad?" 2018 got off to an interesting start in the hip hop world. As every year, both Uncle Murda and VA rapper Mad Skillz dropped off their yearly recap with their respective "2017 Rap Up." However, Murda managed to slip in a few shots at Skillz which only resulted in the VA rapper firing back at him on his "Uncle Murda" diss track. Now, Uncle Murda is kicking off the week with his response to Skillz on "Why You Mad?" Uncle Murda keeps his beef with Skillz alive on his new diss track. On his latest track, Murda wastes no time getting into it. The track opens with a phone call where Skillz says Murda was disrespectful on his latest yearly recap. However, Murda owns up to Skillz accusations of jacking his song concept. Murda goes off on Skillz on his latest offering, comparing the shots he fired to Shaq's free throws and saying he's not relevant in Virginia in comparison to Pusha-T, No Malice and Pharrell. There's no say if this beef will end in the near future but we'll keep enjoying the entertaining factor of it until they resolve their issues. Cdot Honcho and Lil Durk Link Up For "OTW"
SONGS Uncle Murda Claps Back At Skillz On "Why You Mad?"